Apple has removed the headphone Jack which is the major difference. Instead of keeping the Jack, the Apple company have kept the stereo speakers at the top and the bottom of the phone of the handset. The headphone jack’s spacing has been used and as per the officials of the company, Apple now provides wonderful dynamic range for the audio output. Nevertheless, if you love the headphones then you will get the pair of Lightning EarPods along with Lightning converter which canb be connected through the charging port and are packed in the device box. For improving the wireless audio output, Apple has made the new kind of device called as “AirPods” which runs through the use of W1 chip. It has the awesome battery life which is of 5 hours, no wires required at all. These amazing ear phone will be highly favoured by the music lovers. Well, these airpods will not be available with the mobile and you have to spend some extra bucks to have them and enjoy music to the core. For the quality-oriented apps in your iphone, you must opt to hire iPhone app developer who will guide you from soup-to-nuts in getting teh best app developed. If design pattern is concerned, Apple has not given much changes in the designing as such. The new iPhones are quite similar in design to old ones with just few twists in the placement of antenna bands, which the Apple have shifted to the edges side of the back. For giving the new look to the new iPhone, you can also see the wonderful coloured periphery which surrounds the camera system of iPhone 7 Plus, it gives the astonishing look. If you see the colour options, you will find the new iPhones in trendy and impressive colours like gold, rose gold, silver, glossy black and matte black. The lustrous black finished iPhone is exclusively for the 128 GB and 256 GB models. The most promising feature in the iPhone is the awesome camera quality. Apple has worked much on the camera quality which is being loved to the core by Apple handset lovers. If 7 plus phone is considered, the camera quality has been enhanced to the core, the little 4.7” sibling is paired with efficient 12MP camera sensor which looks astonishing. These cameras will work wonders and take stunning snaps wven in the dim light. Apple has increased the number of LEDs to 4, from which 2 are warm and other 2 are cool. With this feature you will be able to capture photos like a pro. In the Apple iPhone 7 Plus, there are 12MP cameras at back side, one is for the wide angle an other one for telephoto lens as such whihc can be zoomed to 2X without compromising the quality of images. If you love to take selfies then new iPhones includes the 7MP camera instead of 5MP for stunning image quality and facetime experience. 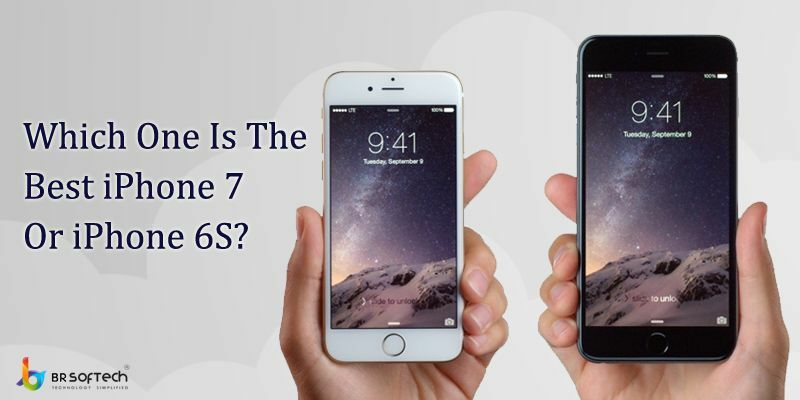 iPhone 7 and iPhone 7 Plus are action packed with amazing features which includes fast running apple processor to control the smartphone, i.e, A10 fusion. It runs on the 64 bit quad core processor, which runs quite awesome than present A9 in iPhone 6S and 6S Plus. If compared to earlier iPhone, it is quite good. Iphone 7 have the 2GB RAM while the top range of the handsets have 3GB RAM size. Yet another enhancement is the battery life which is highly favoured. If compared to earlier iPhones, the new ones have incredibl battery life. Iphone 7 will be having 2 hours more battery life than 6S. Now you will also need the best kind of apps for your iPhone to make your life easy. You can hire dedicated developers who have prowess in developing the best kind of apps for your iPhone. Many times people use to get tensed when their phone used to get wet in the rain. Now the Apple users don’t have to worry much when it get wet in the rains. The new iPhones are now water resistant to the core. That means the hardware can now be undamaged even it is immered in water for 30 minutes. Now the best feature is that home button can be stimulated through vibration when touched, just like in the MacBook (Apple laptops) This new Taptic feature grabs the eyeballs of the Apple lovers to the core. So, now you might be able to make your decision as to which phone to buy in Apple segment. The iPhone 7 or the iPhone 6S. Apple started accepting orders from the phone buyers from September 9 and shipping the phones starts from September 16. The companu unveiled the new ios 10 feature officially on the September 13th which is attracting the Apple lovers to the core. Native web app developer will help you to get the feature-rich apps developed for your iPhone by making use of the recent technological trends.